Faggots, fish cakes, braised oxtails and bread and butter pudding – these are English dishes that Gary Rhodes is credited with reviving. He has a passion for English cooking and is a fan of Manchester United. His peers have given him the accolade the Chef’s Chef. 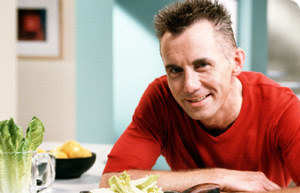 Gary Rhodes first discovered a love for cooking at the age of thirteen. The delight of his family over the Sunday roast and steamed lemon pudding he prepared was the spark that lit his passion for the culinary art. He trained at the Thanet technical college. After graduation he decided that he needed to expand his knowledge and increase his culinary skills, and figured the best way to do this was by travelling. He went off to Amsterdam where he worked as a commis chef at the Amsterdam Hilton. He has worked as a sous chef at the Reform Club, Pall Mall, at the Capital Hotel in Knightsbridge and later in the Castle Hotel, Taunton in Somerset as the head chef. The Castle Hotel is where he truly began to make his mark, earning his first Michelin Star. He moved to the Greenhouse Restaurant in Mayfair in 1990 where he earned his second Michelin Star. By this time his reputation was well established. He was already considered a master of the culinary art. He continued to bring a personal modern touch to classic traditional British favorite dishes. Finally in 1997 he opened his own restaurant, City Rhodes and a year later Rhodes in the Square. Both establishments were awarded Michelin Stars. He later opened brasseries called Rhodes and Co. in Manchester, Edinburgh and Crawley. The first two were awarded the Michelin Bib – the award given to good moderately priced food. His first appearance on TV was on the show Hot Chefs while he was 27. He has had numerous shows including Rhodes Around Britain and Gary’s Perfect Christamas. He has even hosted a show for kids with recipes based on Roald Dahl’s Revolting Recipes. He also has several cookbooks to his name including Gary Rhodes’ Cookery Year: Spring into Summer and Gary Rhodes’ Cookery Year: Autumn into Winter.